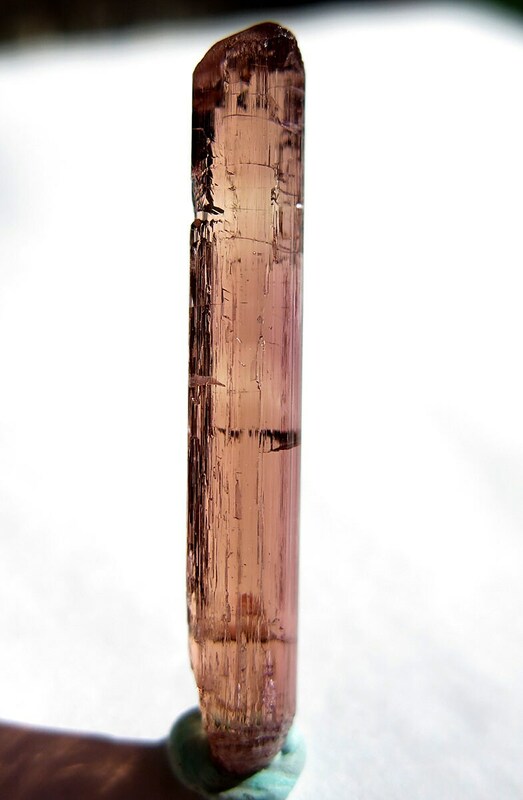 A gem Tourmaline from Baixão claim, Taquaral, Itinga, Minas Gerais, Brazil. The termination is perfectly formed. 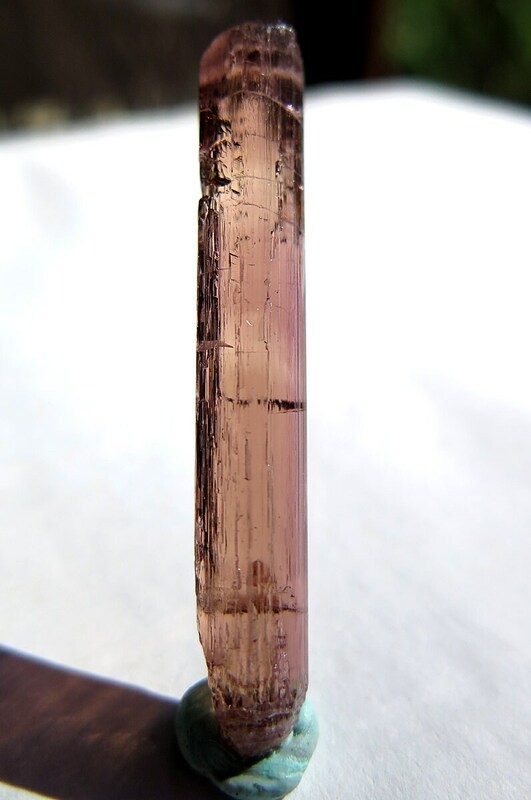 The crystal is lightly etched and is 100% transparent. 1.5 inches long. 2.7 grams. 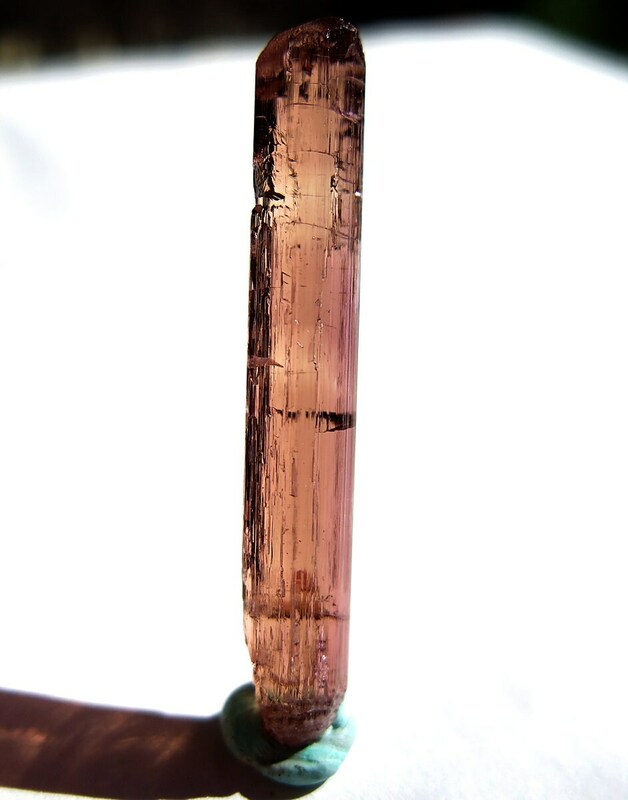 These tourmalines bring $100 per gram everyday.